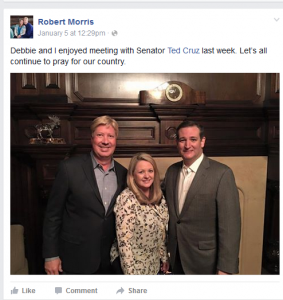 In September, I first disclosed that Gateway Church founding pastor Robert Morris’ son Josh was going to plant a church in Austin, TX. This news represented a sea change at Gateway because the plan had always been for Josh to take over Gateway when Robert retired. This past weekend, the elder Morris made it official and announced to the Gateway congregation that the plant in Austin was happening. It will interesting to see how this happens over time. Planting a church requires financial commitments and this means that Gateway is apparently going to expand just after a significant and painful staff downsizing. Morris then outlined the new lineup of campus pastors. Looks like there are already several good churches in the neighborhood. I wonder why Morris targeted this one? I want to let you know, some changes, that are coming up, before I go into the message. And that is, that, um, we’re making some transitions with some campus pastors, so I’m gonna introduce to you all the campus pastors in a moment, just by at least showing you their pictures. Most of them are not able to be here. They’re at the campus. But we’re also making a transition here at the uh, Southlake campus with our campus pastor. Pastor Josh Morris has been serving as the campus pastor of the Southlake Campus uh, but I wanna get you the, give ya a little behind the scenes, um, information on this. Uh, about 3 to 4 years ago, um, I started feeling like that Pastor Josh might be, in 10 to 12 years, my successor and to take the church here. And so I talked to the Elders about it. And we began preparing him for that. Putting him in, in different departments. We have two succession plans in essence. One for when I’m 63-65, which is like 30 years from now, ya know, so. But, ha, but the other uh emergency plan, ya know, if an airplane went down or something like that and um. And it’s like life insurance. Ya hope ya never have to use it but ya oughta be wise and have it in place. So, uh, we were preparing him for that. And in August he came and met with me and said, ‘Dad, I just um, I just don’t have peace about, uh, taking the church at, just, I feel stress when I think about it. And, um, I’ve been talking with Hannah and Hannah asked me, ‘would you ever want to plant a church.’ And he said, I actually said, ‘No. I don’t think I want to do that’. And he said but it’s been kind of going off in me and now the Lord’s actually put a city on my heart. And, but I need to talk to you and see what God is saying. Ya know, through you. And I said, ‘Well, I think then since God is stirring this, then that’s the way we need to go. Um, God will take care of whoever is to uh, take my place when it’s time. Uh, we’ll get back on a succession plan, for whoever God says. Uh, but he’s praying about it. I felt strongly as well, that this is what God is speaking to the Elders, all the Elders prayed. We felt the word from the Lord. So, next summer, they’re goin- Josh and Hannah, will move to Austin, Texas and plant a church in our state capital. So, also Chad Sykes will be an Associate Pastor there and then Cole Novak is going to go to be the worship pastor, Cole wrote the song Open the Heavens that we sing, that’s all over now. I was actually listening on uh, the uh Christian radio station that’s on the XM Satellite and I thought, I know that song. And I know that kid too, ya know, so uh, so, I just, I know these people. So, ah. Um, so anyway. So we’re beginning to start making that transition. 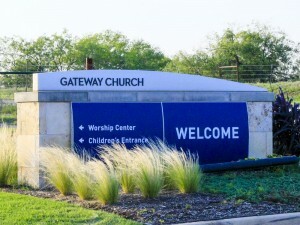 It won’t be called Gateway Church because there’s already a Gateway Church in Austin and it might be confusing, we felt like. 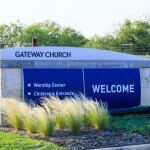 Um and like we pra- planted Preston, and we, we called that Gateway Church. But we planted Tim Ross in Irving and called it Embassy Church. So It’s going to be called Table Church. Uh, ya know Pastor Josh has something in his heart about coming to the table and the Lord’s table. And then just fellowship around the table. So it’ll actually be Table dot Church. So if you know of someone in Austin, the church will probably start around the first of 2019, but there are a lot of moving parts to that. But they’ll move this next summer to get started and build the Lead Team and things like that. So, I’m, I’m excited about it. I really am. We still have an emergency succession plan in place, just so ya know, if something did happen to me. Um, a guy with a little bit of experience, Pastor Jimmy Evans, would actually step in. And take the church as the interim pastor and then, we’d find ya know, what God is saying. So but. Nothing’s going to happened ahem, so. I’ll be around. So. Uh, but I wanted to let you know who then will be stepping in as the Southlake campus pastor. And so, you just stand up there, Pastor Mark Jobe, is gonna be the new Southlake campus pastor. So, uh. And I, uh, I prayed about it and I’ve known Pastor Mark for many years and of course Pastor Mark and Sandy and then you probably very familiar with Kari Jobe, his daughter and one of th-our worship pastors that travels and ministers and now lives in Nashville so she can travel more and do what God has called her to do with her husband. And so, anyway. Um, uh, but, so I just wanted you to know all the campus pastors cuz there’s been some switching some around. So if we can put that up. Where you an kind of see. 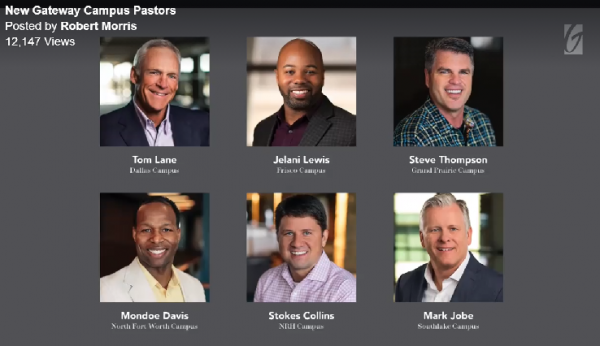 So uh, the Dallas Campus, of course, is Pastor Tom Lane. Uh, at the Frisco Campus, Jelaini Lewis, NOW at the Grand Prairie Campus there’s Pastor Steve Thompson stepping in for Pastor Mark Jobe. At the North Ft Worth Campus Pastor Mondoe Davis. Uhm, and then at the North Richland Hills, Pastor Stokes Collins and just to comment at North Ft Worth it was Pastor Marcus Brecheen. He’s helping us now in the church network that we’re starting to help other churches. And then Pastor Stokes it was Pastor Byron Copeland. Pastor Byron is now overseeing all of the campus, campuses and campus pastors. You have to have someone in that spot to be able to oversee all of them. And then Mark Jobe at the Southlake campus. So, I just wanted to make you aware of what was going on. And then just put Josh and Hannah on your radar. I think, uh, you know, umm, I don’t mean to say this wrong. Lemme say this the right way. The Enemy targets state capitals. (nods head) Would you agree with that? So, why not a church, let’s target it for the Kingdom of God. And um, see what we can make a difference there. So. And the church is actually gonna be west. Kind of west of Austin. But take in that whole west Austin portion Bee Cave Lakeway, if you’ve ever been down there it’s just a huge grow- growing area so. Awright. UPDATE: A video of the press conference and follow up Q & A is here. I watched the video of the press conference. Some of it I couldn’t hear due to audio problems. Generally, the suggestions from the panel were what one might expect from a group of clergy: pray, fast, trust God. Several Trump supporters were there but Trump’s mixed messages and hurtful actions were not called out (thinking specifically of the Arpaio pardon and his ambiguous reaction to Charlottesville). On the other hand, several said the job to bring reconciliation wasn’t Trump’s but the church’s job. In response to a CBN reporter’s question, Bishop Harry Jackson said the concrete steps suggested by the panel are a fast, a call to prayer for 40 days starting tomorrow, an affirmation of the Justice Declaration written by Prison Fellowship, and rallies in 25 cities. Alveda King added that the committee wants to educate the public that America repented for lynchings and slavery via Congress. On balance, the panel favored taking the monuments down. I agree. The World Magazine report asked Trump supporters how they felt about his response to Charlottesville. Day Gardiner who sits on Trump’s diversity council said Trump loves all people and blamed “an entity” who is intent on demolishing Trump’s work. 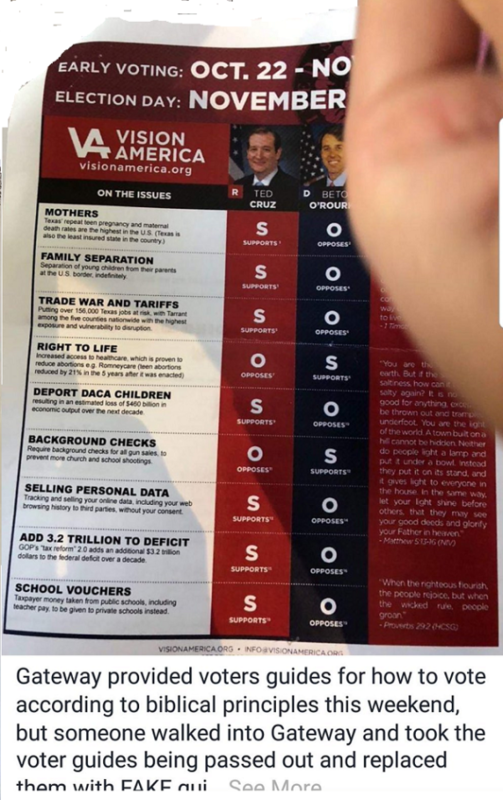 She believes he’s “on track.” Apparently Ms. Gardner has no concerns worth mentioning. Frank Amedia the head of something called POTUS Shield took the “righteous left” to task for complaining about Trump. None of them had anything to say about Trump’s statements or his pardon of Joe Arpaio. Over and over the leaders declared that only God could heal racism. While I believe in the power of faith, I also know that the racist believes that the Christian God is on his side. The League of the South’s Michael Hill thanked God for their successes at Charlottesville. The racist and the anti-racist both claim Christianity. This must be confronted by Christian leaders. While they all condemned racism, I believe they also need to confront the racist theology in specific terms. As I listened, I also wondered about how people of other religions or no religion fit in. If healing racism in America requires prayer and fasting to the Christian God, then what part do non-Christians play? I don’t think a broad movement can be led by calling on people to participate in religious dogma they don’t believe in. I don’t know if this exclusivity is a side effect of Christian nationalism but it seemed exclusionary even at the same time some of the rhetoric embraced inclusion. Perhaps, these leaders were more correct when they addressed their comments to each other. In other words, they were right to criticize racism in Christianity. My reaction to listening to this 2 hour presser is to hope the good intentions lead to change in the church. 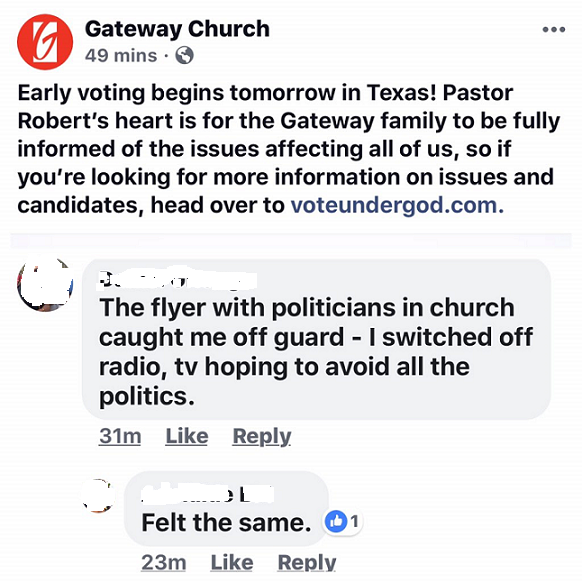 I don’t think the church is ready to lead the nation in some political way. If these folks can’t even criticize Trump’s pardon of Joe Arpaio (as Martin Luther King, Jr. called out Bull Connor and police brutality in his Birmingham jail letter), then they are not ready to lead a broad coalition toward equality and justice. At least, that’s my opinion. I could be wrong. I hope for better. This morning at 9:30am EDT at the National Press Club, The Reconciled Church Initiative will hold a press conference on “The Church’s Role After Charlottesville.” The event will be webcast live on the organization’s website. Alright before we, before I get to the message, I wanna make a couple of comments about what’s going on in our nation right now. We really need to pray uh, for our nation. Because there’s an incredible attack of the enemy against us. 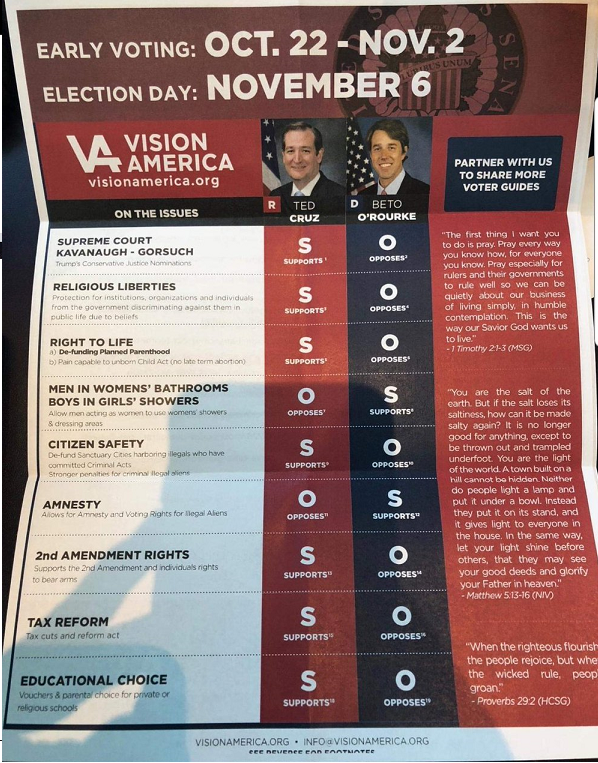 I spent over an hour on the phone this last weeken- week, with pastors, Christian leaders, Senators, uh, about what we could do in our nation right now. 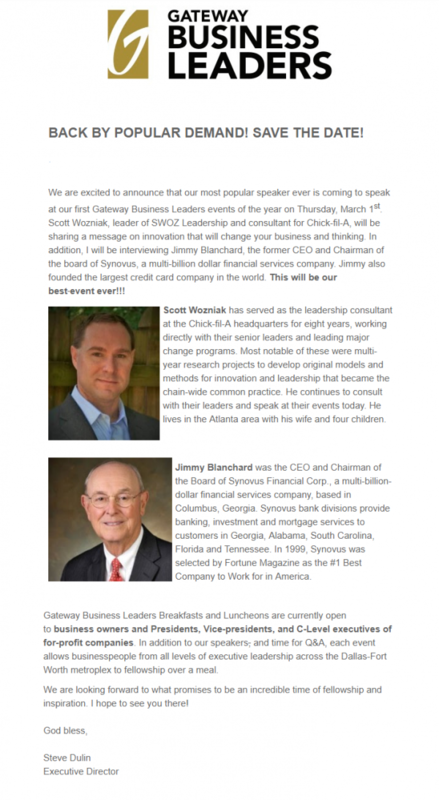 Monday, I’ll be with um, some of the most influential pastors in America. We’ve kind of called an emergency meeting. And so I’ll fly to Los Angeles actually and Monday morning and fly back Monday night. And we’ll spend the day in prayer and talk about how we, as pastors of some of the largest churches in America, how – what we can do to help, uh, our nation right now. But, I want, I think it’s time for us to take a stand. And I think it’s time for us to make it clear. (applause) As Christians. As Christians, we need, to make it clear, so, so Imma gonna make it clear for ya, alright? The KKK, white supremacy and racism are straight from the pit of hell. They are from the pit of hell. There is no place for racism in Christianity. None. God created us equal when he created Adam and Eve he creates us one and then he does another oneness in Christ. But we are no better than someone else and what’s going on right now in our country is, is the Enemy attacking and we need to stand up. And we need to say something about it. So, I want us to take a moment and pray for our nation. Will ya, will you agree with me? Morris described what happened at the August 21 meeting in his Saturday sermon on the 26th. The answer? Love and prayer. I just want to give you an update because many of you were praying. Uh, about fifty ­pastors from very influential churches in America came together this last week to talk about the problem of racism in America. And, um, there were about a third white pastors, about a third black pastors, about a third, uh, Hispanic and Asian. Of that third of Hispanic and Asian, about two-thirds of those were, uh, Hispanic; about a third Asian. Uh, but we had a tremendous prayer time before the Lord. We talked. We talked about what the church can do. And um, there was just, uh, there was one main conclusion. And that is that racism is, evil, and we need to call it evil and we need to preach love. (applause) So, I just want you to know that I am committed to continue to take a national stand in this area. And so, continue to pray for us. I believe, obviously, the pastors and the body of Christ, we have the answer to this. And I, I believe that God could bring a healing to this problem in this generation. And that’s what we’re praying for. The answer? Call racism evil and preach love. 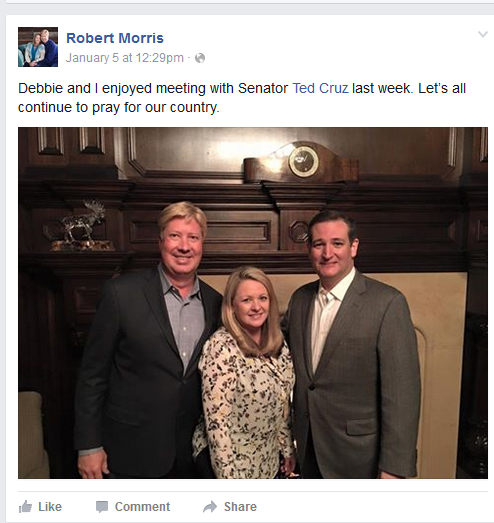 Morris and the “influential pastors in America” could start with themselves and Trump’s evangelical advisory board. Although it would be a powerful statement, I have a hunch Trump’s pardon of Joe Arpaio won’t come up at today’s presser. I hope they prove me wrong. Gateway Church is still pruning the vine. And so, as we look at our bulls eye, God has called us, to reach professional people. That’s our bulls eye. We’re still gonna help the down and out. We do it every week. 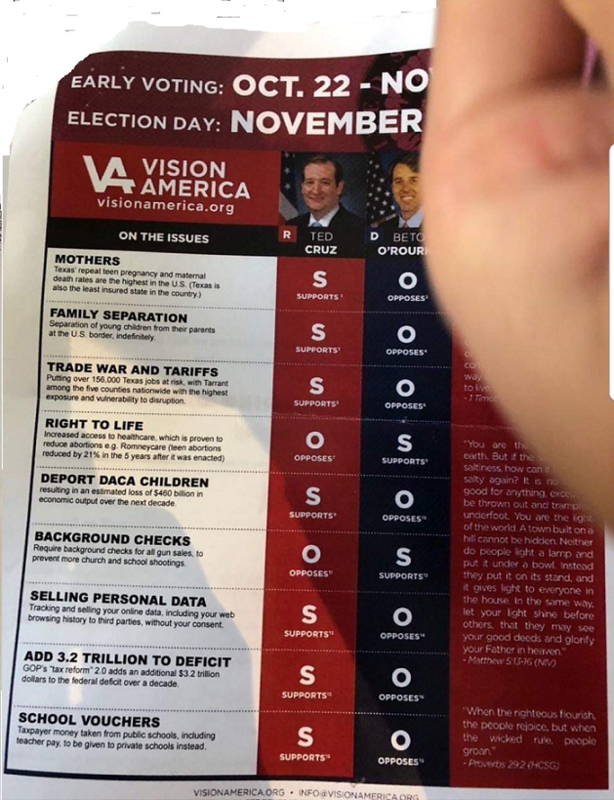 We’re still gonna help single moms. We do it every week. We-we’re still going to uh, look and help marriages and blended families. We’re gonna work through their issues. But our bulls eye is the business professionals. Matter fact, in one of our depart- we have a whole department that’s built towards reaching business people. I’m talking about people with influence and large capacities of wealth. That’s our bullseye because we feel like that’s something God’s graced us to do. If it is also true as I have been told that many of Bogard’s former staff have also been let go then the Gateway Network may have some trouble hitting the bulls eye. The website still has Bogard’s bio but I was told that there have been so many changes that the IT department is having trouble keeping up. Two sources from the mega-church community have informed me that more layoffs and changes may be coming in October. 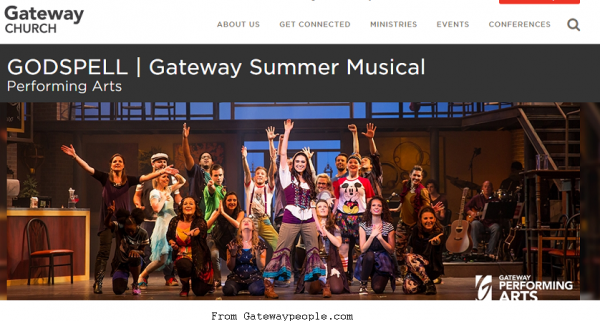 Gateway’s troubles may not end there. 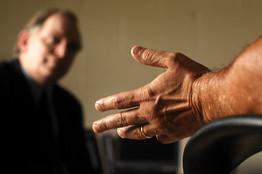 Gateway sold bonds to help finance rapid growth and some of those are going to come due over the next several months. Some of the 55-million in debt that Gateway leaders reported earlier this summer might be related to the maturity of those bonds. Alas, if the church doesn’t have the funds to make good on those commitments then there may be more pruning to come.